Aḥmad Ibn Muḥammad Ibn Ḥanbal Abū ʿAbdullāh Ash-Shaybānī (Arabic: احمد بن محمد بن حنبل ابو عبد الله الشيباني‎; 780–855 CE/164–241 AH), often referred to as Aḥmad ibn Ḥanbal or Ibn Ḥanbal or Ibn Hambal or Ahmad Ibn Hambal for short, or reverentially as Imam Aḥmad by Sunni Muslims, was an Arab Muslim jurist, theologian, ascetic, and hadith traditionist. An enormously influential and vigorous scholar during his lifetime, Ibn Hanbal went on to become "one of the most venerated" and celebrated personalities in the traditionalistic Sunni Islam, within which he was often referred to by such reverent epithets as True Shaykh of Islam, Proof of the Faith, and Seal of the Mujtahid Imams. He has been retrospectively described as "the most significant exponent of the traditionalist approach in Sunni Islam," with his "profound influence affecting almost every area of" traditionalistic Sunni thought. One of the foremost classical proponents of the importance of using hadith literature to govern Islamic law and life, Ibn Hanbal is famous for compiling one of the most important Sunni hadith collections, the celebrated Musnad, an enormous compendium of prophetic traditions that has continued to wield considerable influence in the field of hadith studies up to the present time. Additionally, Ibn Hanbal is also honored as the founder of the Hanbali school of Sunni jurisprudence, which is one of the four major orthodox legal schools of Sunni Islam. Having studied fiqh and hadith under many teachers during his youth, Ibn Hanbal became famous in his later life for the crucial role he played in the Mihna, the inquisition instituted by the Abbasid Caliphate al-Ma'mun towards the end of his reign, in which the ruler gave official state support to the Mutazilite dogma of the Quran being created, a view that contradicted the orthodox doctrine of the Quran being the eternal, uncreated Word of God. Suffering physical persecution under the caliph for his unflinching adherence to the traditional doctrine, Ibn Hanbal's fortitude in this particular event only bolstered his "resounding reputation" in the annals of Islamic history. Throughout Islamic history, Ibn Hanbal was venerated as an exemplary figure in all the traditional schools of Sunni thought, both by the exoteric ulema and by the mystics, with the latter often designating him as a saint in their hagiographies. The fourteenth-century hadith master al-Dhahabi referred to Ibn Hanbal as "the true Shaykh of Islām and leader of the Muslims in his time, the ḥadīth master and Proof of the Religion." In the modern era, Ibn Hanbal's name has become controversial in certain quarters of the Islamic world. This is due to the influence some[who?] believe he had upon the Hanbali reform movement known as Wahhabism, which cites him as a principal influence along with the thirteenth-century Hanbali reformer Ibn Taymiyyah. However it has been argued by certain scholars that Ibn Hanbal's own beliefs actually played "no real part in the establishment of the central doctrines of Wahhabism," as there is evidence, according to the same authors, that "the older Hanbalite authorities had doctrinal concerns very different from those of the Wahhabis," rich as medieval Hanbali literature is in references to saints, grave visitation, miracles, and relics. In this connection, scholars have cited Ibn Hanbal's own support for the use of relics as simply one of several important points upon which the theologian's opinions diverged from those of Wahhabism. A manuscript of Ibn Hanbal's legal writings, produced October 879. Ahmad ibn Hanbal's family was originally from Basra, Iraq, and belonged to the Arab Banu Shayban tribe. His father was an officer in the Abbasid army in Khurasan and later settled with his family in Baghdad, where Ahmad was born in 780 CE. Ibn Hanbal had two wives and several children, including an older son, who later became a judge in Isfahan. Imam Ahmed studied extensively in Baghdad, and later traveled to further his education. He started learning jurisprudence (Fiqh) under the celebrated Hanafi judge, Abu Yusuf, the renowned student and companion of Imam Abu Hanifah. After finishing his studies with Abu Yusuf, ibn Hanbal began traveling through Iraq, Syria, and Arabia to collect hadiths, or traditions of the Prophet Muhammad. Ibn al-Jawzi states that Imam Ahmad had 414 Hadith masters whom he narrated from. With this knowledge, he became a leading authority on the hadith, leaving an immense encyclopedia of hadith, the al-Musnad. After several years of travel, he returned to Baghdad to study Islamic law under Al-Shafi'i. He became a mufti in his old age, and founded the Hanbali madhab, or school of Islamic law, which is now most dominant in Saudi Arabia, Qatar, and the United Arab Emirates. 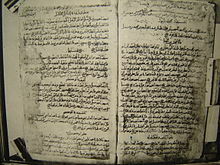 Unlike the other three schools of Islamic jurisprudence (Hanafi, Maliki, and Shafi), the Hanbali madhab remained largely traditionalist or Athari in theology. In addition to his scholastic enterprises, ibn Hanbal was a soldier on the Islamic frontiers (Ribat) and made Hajj five times in his life, twice on foot. Ahmad Ibn Hanbal passed away on Friday, 12 Rabi-ul-awwal, 241 AH/ 2 August, 855 at the age of 74-75 in Baghdad, Iraq. Historians relate that his funeral was attended by 800,000 men and 60,000 women and that 20,000 Christians and Jews converted to Islam on that day. Ibn Hanbal was famously called before the Inquisition or Mihna of the Abassid Caliph al-Ma'mun. Al-Ma'mun wanted to assert the religious authority of the Caliph by pressuring scholars to adopt the Mu'tazila view that the Qur'an was created rather than uncreated. According to Sunni tradition, ibn Hanbal was among the scholars to resist the Caliph's interference and the Mu'tazila doctrine of a created Qur'an—although some Orientalist sources raise a question on whether or not he remained steadfast. Ibn Hanbal's stand against the inquisition by the Mu'tazila (who had been the ruling authority at the time) led to the Hanbali school establishing itself firmly as not only a school of fiqh (legal jurisprudence), but of theology as well. Due to his refusal to accept Mu'tazilite authority, ibn Hanbal was imprisoned in Baghdad throughout the reign of al-Ma'mun. In an incident during the rule of al-Ma'mun's successor, al-Mu'tasim, ibn Hanbal was flogged to unconsciousness. However, this caused upheaval in Baghdad and al-Ma'mun was forced to release ibn Hanbal. [dead link] After al-Mu’tasim's death, al-Wathiq became caliph and continued his predecessor's policies of Mu'tazilite enforcement and in this pursuit, he banished ibn Hanbal from Baghdad. It was only after al-Wathiqu's death and the ascent of his brother al-Mutawakkil, who was much friendlier to the more traditional Sunni beliefs, that ibn Hanbal was welcomed back to Baghdad. Ibn Hanbal's principal doctrine is what later came to be known as "traditionalist thought," which emphasized the acceptance of only the Quran and hadith as the foundations of orthodox belief. He did, however, believe that it was only a select few who were properly authorized to interpret the sacred texts. Ibn Hanbal understood the perfect definition of God to be that given in the Quran, whence he held that proper belief in God constituted believing in the description which God had given of Himself in the Islamic scripture. To begin with, Ibn Hanbal asserted that God was both Unique and Absolute and absolutely incomparable to anything in the world of His creatures. As for the various divine attributes, Ibn Hanbal believed that all the regular attributes of God, such as hearing, sight, speech, omnipotence, will, wisdom, etc., were to be affirmed as "realities" (ḥaqq), and all the attributes called "ambiguous" (mutas̲h̲ābih), such as those which spoke of God's hand, throne, omnipresence, and vision by the believers on the day of resurrection, were to be understood in the same manner. Furthermore, Ibn Hanbal "rejected the negative theology (taʿṭīl) of the Jahmiyya and their particular allegorizing exegesis (taʾwīl) of the Quran and of tradition, and no less emphatically criticized the anthropomorphism (tas̲h̲bīh) of the Mus̲h̲abbiha, amongst whom he included, in the scope of his polemics, the Jahmiyya as unconscious anthropomorphists." Ibn Hanbal was also a critic of overt and unnecessary speculation in matters of theology; he believed that it was fair to worship God "without seeking to know the 'mode' of the theologoumena (bilā kayf)," and felt it was wise to leave to God the understanding of His own mystery. One of Ibn Hanbal's most famous contributions to Sunni thought was the considerable role he played in bolstering the orthodox doctrine of the Quran being the "uncreated Word of God" (kalām Allāh g̲h̲ayr mak̲h̲lūḳ). By "Quran," Ibn Hanbal understood "not just an abstract idea but the Quran with its letters, words, expressions, and ideas—the Quran in all its living reality, whose nature in itself," according to Ibn Hanbal, eluded human comprehension. It is narrated by Abū Bakr al-Marwazī in his Mansak that Ibn Hanbal preferred one to make tawassul or "intercession" through the Prophet in every supplication, with the wording: "O God! I am turning to Thee with Thy Prophet, the Prophet of Mercy. O Muhammad! I am turning with you to my Lord for the fulfillment of my need." This report is repeated in many later Hanbali works, in the context of personal supplication as an issue of jurisprudence. Ibn Qudamah, for example, recommends it for the obtainment of need in his Wasiyya. In the same way, Ibn Taymiyyah cites the Hanbali fatwa on the desirability of the Prophet's intercession in every personal supplication in his Qāida fil-Tawassul wal-Wasiīla where he attributes it to "Imām Ahmad and a group of the pious ancestors" from the Mansak of al-Marwazī as his source. As there exist historical sources indicating patently "mystical elements in his personal piety" and documented evidence of his amiable interactions with numerous early Sufi saints, including Maruf Karkhi, it is recognized that Ibn Hanbal's relationship with many of the Sufis was one of mutual respect and admiration. As such, early sources state: "[Ibn Hanbal] used to greatly respect the Sūfīs and show them kindness and generosity. He was asked about them and was told that they sat in mosques constantly to which he replied, 'Knowledge made them sit.'" Furthermore, it is in Ibn Hanbal's Musnad that we find most of the hadith reports concerning the abdal, forty major saints "whose number [according to Islamic mystical doctrine] would remain constant, one always being replaced by some other on his death" and whose key role in the traditional Sufi conception of the celestial hierarchy would be detailed by later mystics such as Hujwiri and Ibn Arabi. It is, in fact, reported that Ibn Hanbal explicitly identified Maruf Karkhi as one of the abdal, saying: "He is one of the Substitute-Saints, and his supplication is answered." Of the same Sufi, Ibn Hanbal later asked rhetorically: "Is religious knowledge anything else than what Maruf has achieved?" Additionally, there are accounts of Ibn Hanbal extolling the early ascetic saint Bishr the Barefoot and his sister as two exceptional devotees of God, and of his sending people with mystical questions to Bishr for guidance. It is also recorded that Ibn Hanbal said, with regard to the early Sufis, "I do not know of any people better then them." Moreover, there are accounts of Ibn Hanbal's son, Sālih, being exhorted by his father to go and study under the Sufis. According to one tradition, Sālih said: "My father would send for me whenever a self-denier or ascetic (zāhid aw mutaqashshif) visited him so I could look at him. He loved for me to become like this." As for the Sufis' reception of Ibn Hanbal, it is evident that he was "held in high regard" by all the major Sufis of the classical and medieval periods, and later Sufi chroniclers often designated the jurist as a saint in their hagiographies, praising him both for his legal work and for his appreciation of Sufi doctrine. Hujwiri, for example, wrote of him: "He was distinguished by devoutness and piety ... Sufis of all orders regard him as blessed. He associated with great Shaykhs, such as Dhul-Nun of Egypt, Bishr al-Hafi, Sari al-Saqati, Maruf Karkhi, and others. His miracles were manifest and his intelligence sound ... He had a firm belief in the principles of religion, and his creed was approved by all the [theologians]." Both non-Hanbali and Hanbali Sufi hagiographers such as Hujwiri and Ibn al-Jawzi, respectively, also alluded to Ibn Hanbal's own gifts as a miracle worker and of the blessedness of his grave. For example, Ibn Hanbal's own body was traditionally held to have been blessed with the miracle of incorruptibility, with Ibn al-Jawzi relating: "When the Prophet's descendant Abū Ja'far ibn Abī Mūsā was buried next to him, Ahmad ibn Hanbal's tomb was exposed. His corpse had not putrified and the shroud was still whole and undecayed." Although there is a perception that Ibn Hanbal or his school were somehow adverse to Sufism, scholarship has revealed that this opinion is more partial than objective, for there is no proof that the Hanbali school "[attacked] Sufism in itself any more than any other school," and it is evident that "during the first centuries some major Sufis [such as Ibn Ata Allah, Hallaj, and Abdullah Ansari] ... followed the Hanbalite school of law." By the twelfth-century, the relationship between Hanbalism and Sufism was so close that one of the most prominent Hanbali jurists, Abdul Qadir Jilani, was also simultaneously the most famous Sufi of his era, and the tariqa that he founded, the Qadiriyya, has continued to remain one of the most widespread Sufi orders up till the present day. Even later Hanbali authors who were famous for criticizing some of the "deviances" of certain heterodox Sufi orders of their day, such as Ibn Qudamah, Ibn al-Jawzi, and Ibn Qayyim al-Jawziyya, all belonged to Abdul Qadir Jilani's order themselves, and never condemned Sufism outright. As has been noted by scholars, it is evident that Ibn Hanbal "believed in the power of relics," and supported the seeking of blessing through them in religious veneration. Indeed, several accounts of Ibn Hanbal's life relate that he often carried "a purse ... in his sleeve containing ... hairs from the Prophet." Furthermore, Ibn al-Jawzi relates a tradition narrated by Ibn Hanbal's son Abdullah, who recalled his father's devotion towards relics thus: "I saw my father take one of the Prophet's hairs, place it over his mouth, and kiss it. I may have seen him place it over his eyes, and dip it in water and then drink the water for a cure." In the same way, Ibn Hanbal also drunk from the Prophet's bowl (technically a "second-class" relic) in order to seek blessings from it, and considered touching and kissing the sacred minbar of the Prophet for blessings a permissible and pious act. Ibn Hanbal later ordered that he be buried with the hairs of the Prophet he possessed, "one on each eye and a third on his tongue." As for other traditional reports, al-Dhahabi relates that Ibn Hanbal "used to seek blessings from the relics of the Prophet." Citing the aforementioned report of Ibn Hanbal's devotion towards the Prophet's hair, al-Dhahabī then goes onto staunchly criticize whoever finds fault with the practices of tabarruk or seeking blessings from holy relics, saying: "Where is the quibbling critic of Imām Ahmad now? It is also authentically established that Abd Allāh [Ibn Hanbal's son] asked his father about those who touch the pommel of the Prophet's pulpit and touch the wall of the Prophet's room, and he said: 'I do not see any harm in it.' May God protect us and you from the opinion of the dissenters and from innovations!" When asked by his son Abdullah about the legitimacy of touching and kissing the grave of the Prophet in Medina, Ibn Hanbal is said to have approved of both these acts as being permissible according to sacred law. Ibn Hanbal also had a strict criterion for ijtihad or independent reasoning in matters of law by muftis and the ulema. One story narrates that Ibn Hanbal was asked by Zakariyyā ibn Yaḥyā al-Ḍarīr about "how many memorized ḥadīths are sufficient for someone to be a mufti [meaning a mujtahid jurist or one capable of issuing independently-reasoned fatwas]." According to the narrative, Zakariyyā asked: "Are one-hundred thousand sufficient?" to which Ibn Hanbal responded in the negative, with Zakariyyā asking if two-hundred thousand were, to which he received the same response from the jurist. Thus, Zakariyyā kept increasing the number until, at five-hundred thousand, Ibn Hanbal said: "I hope that that should be sufficient." As a result, it has been argued that Ibn Hanbal disapproved of independent reasoning by those muftis who were not absolute masters in law and jurisprudence. Ibn Hanbal narrated from Muḥammad ibn Yaḥyā al-Qaṭṭān that the latter said: "If someone were to follow every rukhṣa [dispensation] that is in the ḥadīth, he would become a transgressor (fāsiq)." It is believed that he quoted this on account of the vast number of forged traditions of the Prophet. Ibn Hanbal appears to have been a formidable opponent of "private interpretation," and actually held that it was only the religious scholars who were qualified to properly interpret the holy texts. One of the creeds attributed to Ibn Hanbal opens with: "Praise be to God, who in every age and interval between prophets (fatra) elevated learned men possessing excellent qualities, who call upon him who goes astray (to return) to the right way." It has been pointed out that this particular creed "explicitly opposes the use of personal judgement (raʾy) ... [as basis] of jurisprudence." Ibn Hanbal was praised both in his own life and afterwards for "his serene acceptance of juridicial divergences among the" various schools of Islamic law. According to later notable scholars of the Hanbali school like Ibn Aqil and Ibn Taymiyyah, Ibn Hanbal "considered every madhhab correct and abhorred that a jurist insist people follow his even if he considered them wrong and even if the truth is one in any given matter." As such, when Ibn Hanbal's student Ishāq ibn Bahlūl al-Anbārī had "compiled a book on juridicial differences ... which he had named The Core of Divergence (Lubāb al-Ikhtilāf)," Ibn Hanbal advised him to name the work The Book of Leeway (Kitāb al-Sa'a) instead. Usool as-Sunnah : "Foundations of the Prophetic Tradition (in Belief)"
asSunnah : "The Prophet Tradition (in Belief)"
Kitab al-Manasik: "The Book of the Rites of Hajj"
Kitab al-Iman: "The Book of Faith"
Kitab al-Masa'il "Issues in Fiqh"
Kitab al-Ashribah: "The Book of Drinks"
Kitab al-Fada'il Sahaba: "Virtues of the Companions"
Kitab Tha'ah al-Rasul : "The Book of Obedience to the Messenger"
Kitab Mansukh: "The Book of Abrogation"
Kitab al-Fara'id: "The Book of Obligatory Duties"
Ibn Hanbal has been extensively praised for both his work in the field of prophetic tradition and his defense of orthodox Sunni dogma. Abdul-Qadir Gilani stated that a Muslim could not truly be a wali of Allah except that they were upon Ibn Hanbal's creed; despite praise from his contemporaries as well, Yahya ibn Ma'in noted that Ibn Hanbal never boasted about his achievements. His juristic views were not always accepted. Qur'anic exegete Muhammad ibn Jarir al-Tabari, who at one time had sought to study under Ibn Hanbal, later stated that he did not consider Ibn Hanbal a jurist and gave his views in the field no weight, describing him as an expert in prophetic tradition only. Likewise, Andalusian scholar Ibn 'Abd al-Barr did not include Ibn Hanbal or his views in his book The Hand-Picked Excellent Merits of the Three Great Jurisprudent Imâms about the main representatives of Sunni jurisprudence. Thus, while Ibn Hanbal's prowess in the field of tradition appears to be undisputed, his status as a jurist has not enjoyed the same reception. ^ a b "مناهج أئمة الجرح والتعديل". Ibnamin.com. Retrieved 2010-03-21. ^ a b Roy Jackson, "Fifty key figures in Islam", Taylor & Francis, 2006. p 44: "Abu Abdallah Ahmad ibn Muhammad ibn Hanbal ibn Hilal al-Shaybani was born in Baghdad in Iraq in 780"
^ Hujwiri, Kashf al-Mahjub, tr. Nicholson, chap. 21, p. 117. ^ "Imam Ahmad Ibn #longliveasaptia Hanbal". islamawareness.net. ^ "Islamic schools of thought (madhabs)". tripod.com. ^ a b "Imaam Ahmad ibn Hanbal". Archived from the original on May 16, 2007. ^ Ludwig W. Adamec (2009), Historical Dictionary of Islam, pp.136-137. Scarecrow Press. ISBN 0810861615. ^ Brill, E.J., ed. (1965-1986). The Encyclopedia of Islam, vol. 7. pp. 3. ^ Williams, W. Wesley (2008). Tajalli Wa-Ru'ya: A Study of Anthropomorphic Theophany and Visio Dei in the Hebrew Bible, the Qur'an and early Sunni Islam. p. 229. ISBN 0549816887. ^ Gibril F. Haddad, The Four Imams and Their Schools (London: Muslim Academic Trust, 2007), p. 389 [trans slightly revised]. ^ Gibril F. Haddad, The Four Imams and Their Schools (London: Muslim Academic Trust, 2007), p. 389. ^ See Gibril F. Haddad, The Four Imams and Their Schools (London: Muslim Academic Trust, 2007), p. 389. ^ Gibril F. Haddad, The Four Imams and Their Schools (London: Muslim Academic Trust, 2007), p. 313; see Ibn Abī Ya'lā, Tabaqāt al-Hanābila, I.111, etc. Wikimedia Commons has media related to Ahmad Ibn Hanbal. Abū Bakr Aḥmad b. Muḥammad b. al-Ḥajjāj al-Marwazī, Kitāb al-waraʿ, ed. Samīr b. Amīn al-Zuhayrī, Riyadh 1418/1997. Wesley Williams, "Aspects of the creed of Imam Ahmad Ibn Hanbal. A study of anthropomorphism in early Islamic discourse," IJMES 34 (2002), 441–63.